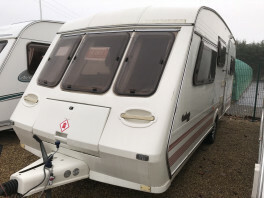 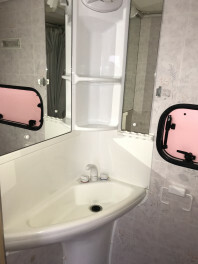 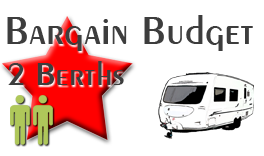 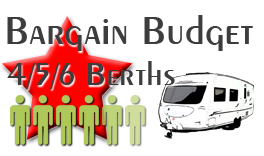 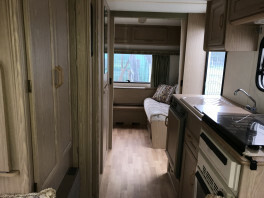 A flexible 5 berth Caravan (Band: Budget), offering two end bedroom/dining areas, ideal for separating parents from the children! 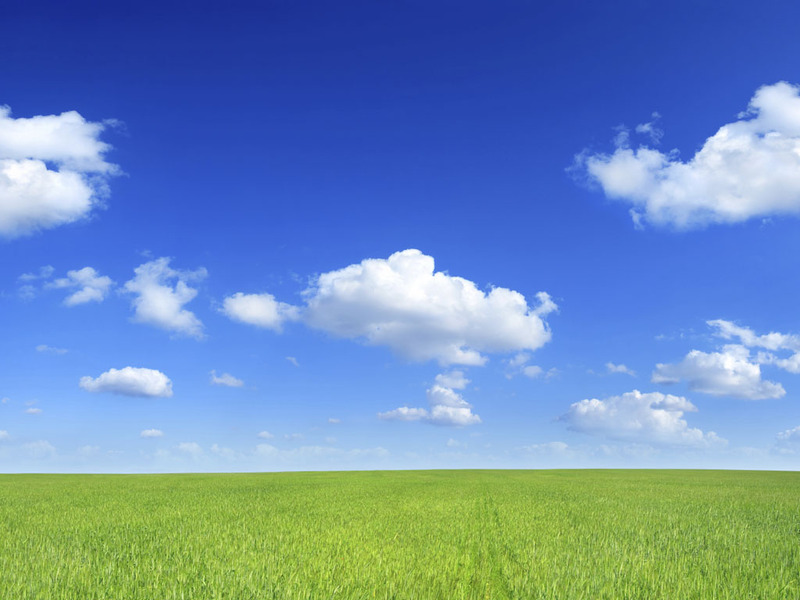 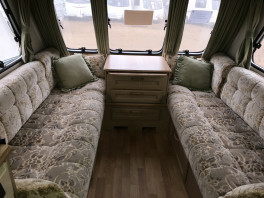 Or leave one end set up as a fixed bed for couples…. 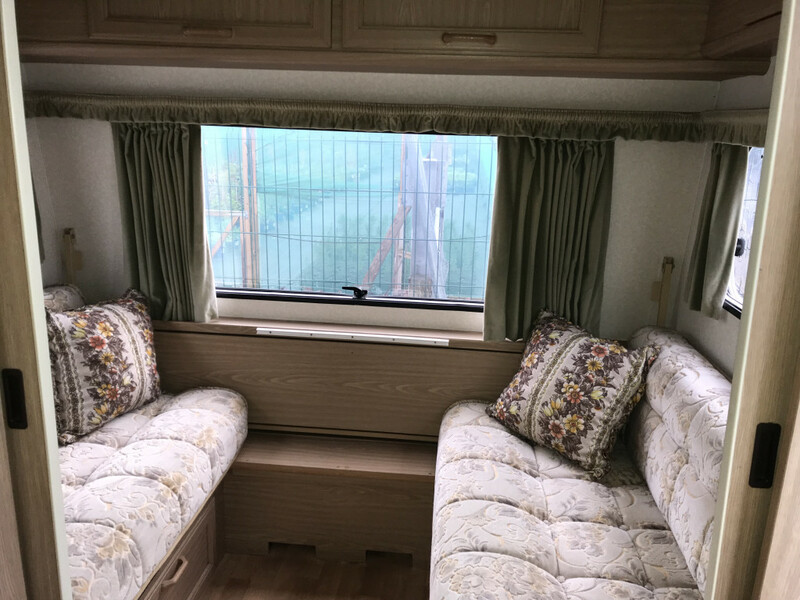 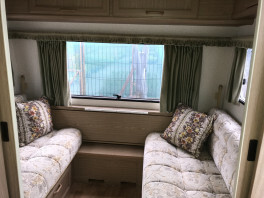 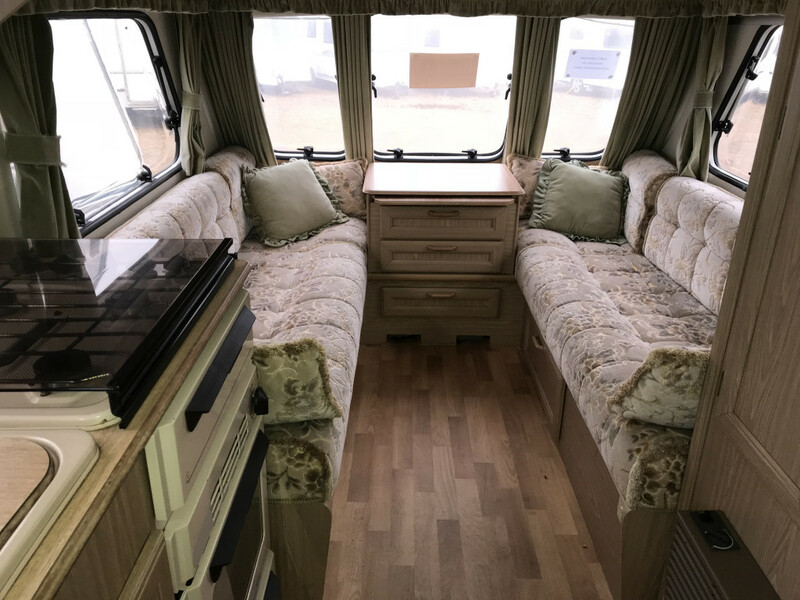 Despite being the oldest on our fleet & one of the originals, our Fleetwood Garland 165 (Band: Budget) is nevertheless a quality van, tidy throughout & offers many of the features of a modern caravan & is much loved by all! 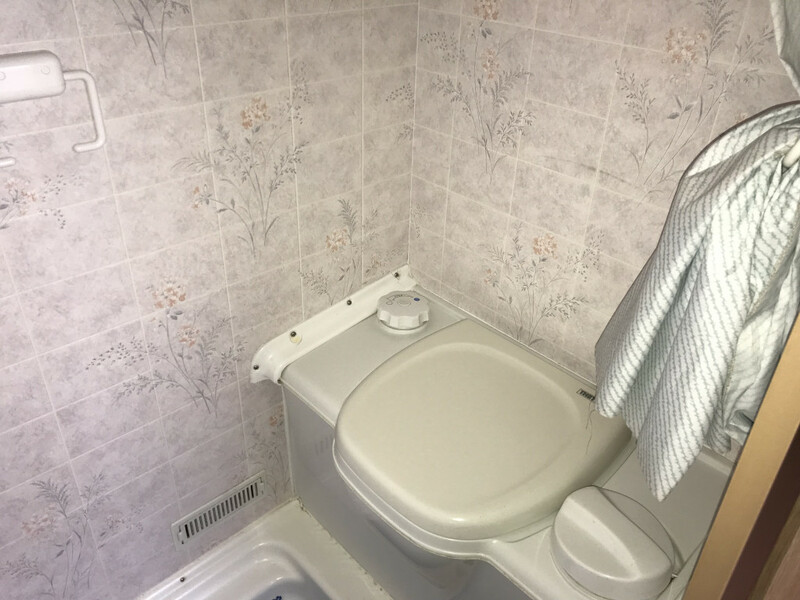 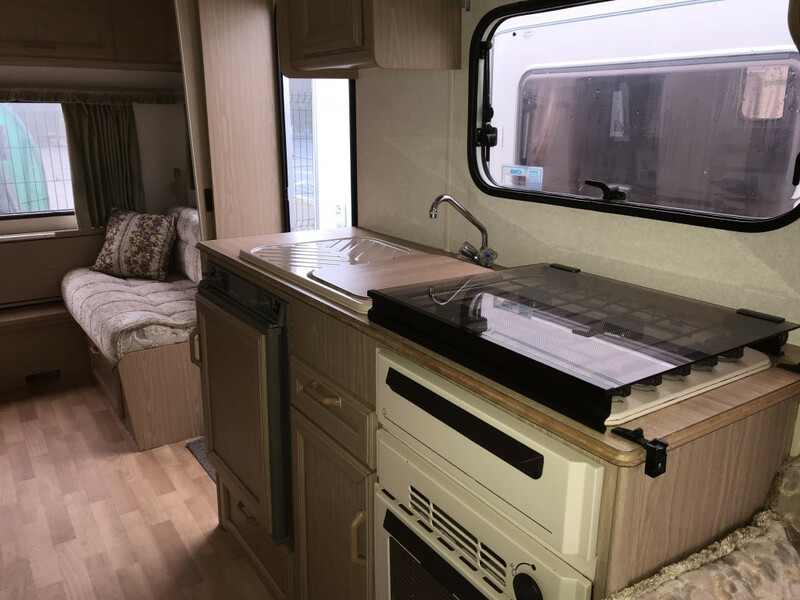 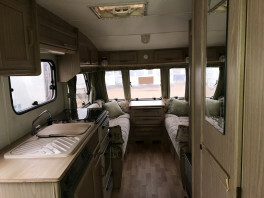 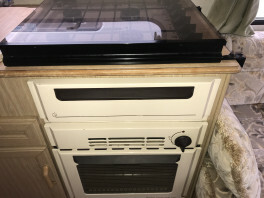 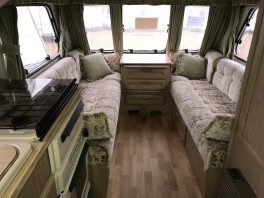 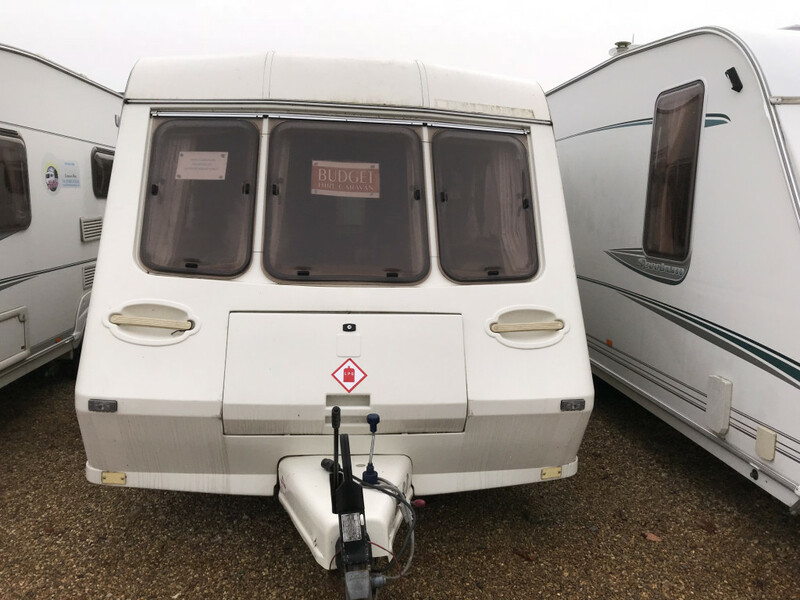 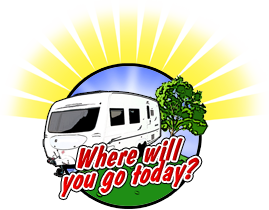 Single Axle, Screened End Bedroom, Side Washroom, Mains Electric, Battery Charger, Fridge, Gas Hob, Grill, Oven, Gas Heating, Electric & Gas Water heater, Cassette toilet, Sink, Shower, Lino Flooring, Curtains, Spare Wheel & Hitch Head Stabiliser.